Home » Pediatricians » Phil Freestone, M.D. 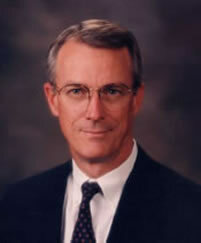 Dr. Freestone grew up in Mesa, Arizona and studied medicine at the University of Arizona, graduating in 1974. He completed his pediatric residency in 1977. That year, he moved to Orem, Utah and set up his pediatric practice. He has lived in Orem since that time. He and his wife are parents of six children. In 1995, he became one of the founding physicians of Utah Valley Pediatrics. Dr. Freestone has had an active role in scouting, both on a unit and council level. He served as scoutmaster and varsity scout coach for 9 years. He was involved in many leadership training courses (Wood Badge) and youth leadership courses. He has taken groups of scouts to Philmont Scout Ranch and to the National Jamboree. He served as Vice-President of the Utah National Parks Council and chairman of the council’s Varsity Scout Committee. He holds the Silver Beaver award. In 2005, Dr. Freestone took a three-year leave of absence to serve as mission president in the Mexico Puebla Mission for the Church of Jesus Christ of Latter-day Saints. He returned to full-time practice in 2008. In 2012, he retired from active pediatric practice to serve as president of the Missionary Training Center in the Dominican Republic. Dr. Freestone practiced in our Orem Cherry Tree office and specialized in the care of infants, children and adolescents. Phil Freestone, M.D. practiced in our Cherry Tree Office.